After five successful years of MadWorld in the United States (and an upcoming sixth), we’re bringing the premier technical communication and content strategy conference to Europe. We’re excited to announce the first annual MadWorld Europe 2018 conference, taking place September 11-14, 2018. The conference will debut in the beautiful city of Prague, Czechia, a destination known for its rich history, architecture, and charm. Based in the heart of Europe, MadWorld Europe gives our European customers the chance to interact and network with documentation managers, technical writers, and others from all over the region. 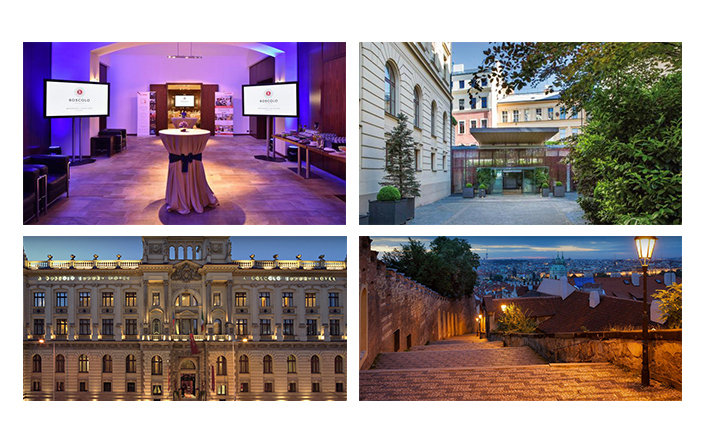 In addition, the Boscolo Hotel Prague provides the ideal setting for the conference, located in the historic Old Town of Prague in walking distance to some of the city’s most iconic sights. MadWorld is your opportunity to learn from experts and collaborate with professional consultants, certified trainers, and industry veterans. Take advantage of the learning and networking opportunities throughout the conference, as well as the popular Hospitality Lounge, where you can get dedicated technical support on all your questions. To stay updated on MadWorld Europe 2018, you can sign up for our newsletter to receive the latest information including the upcoming speakers, sessions, and registration details. Submissions are accepted until Tuesday, January 23, 2018. Details on the call for presentations can be found here. Don’t forget – the year-end discount for MadWorld 2018 in San Diego, California ends soon. Register by December 31st, 2017 to save up to $600 on your MadWorld 2018 conference and workshop registration. For any questions regarding the conferences, feel free to reach out to madworld@madcapsoftware.com. We look forward to seeing you in San Diego and Prague!